Rielle Hunter is a renowned Hollywood actress and film producer. However, her claim to fame has been her affair with John Edwards, who was a nominee of the Democratic Party for the Vice Presidential elections. She is also known for her widespread use of 'YouTube' to share political videos. Rielle was born on 20th March, 1964 in Fort Lauderdale in Florida to James and Gwen Druck. Her parents had a farm in Ocala where they bred and raised show horses. She has three sisters. She completed her schooling from St. John Lutheran School and North Marion High School. She joined the University of Tampa and then took a transfer to University of Florida. However, she did not complete her studies and moved to New York o pursue her dreams of becoming an actress. Rielle a acted in several movies during the ‘80s and ‘90s under the name of Lisa Hunter and Lisa Jo Hunter. One of her most popular movies is Ricochet, released in 1991. She also starred in a play, Savage in Limbo with Elizabeth Dennehy. In 2000, Rielle formed a production company, R Hunter films. Under this banner she worked in a comedy movie, Billy Bob and Them besides Wolfgang Bodison. The plot for this short movie was written by her. In the year 2006, she formed a new production company in collaboration with her partner Mimi Godfrey Hockman. She came up with the idea of producing promotional videos for electoral candidates and pitched this idea to John Edwards. Soon, her company was hired by Edwards to produce promotional videos for his presidential election campaign for 2008. One of the most famous of these series was Inspiring Politics: A Webisode Series Following John Edwards. This video was published on the World Wide Web using YouTube and brought her critical acclaim. 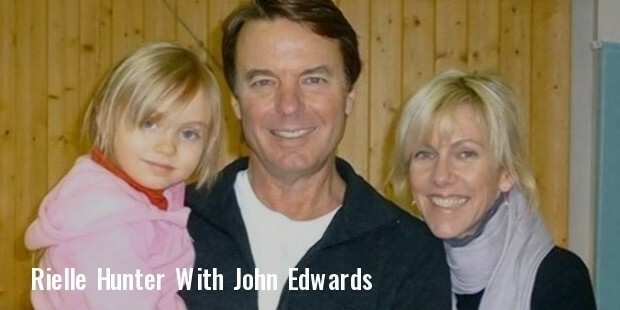 In 2012, Rielle Hunter published a book, What Really Happened: John Edwards, Our Daughter and Me. 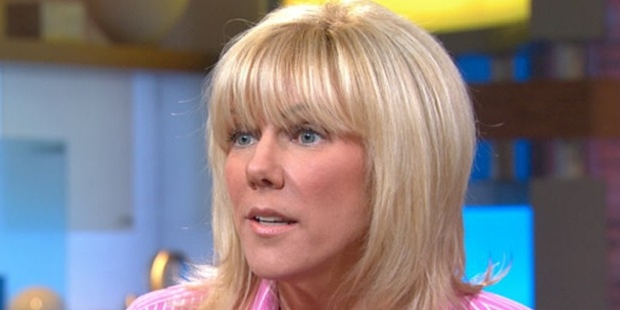 Rielle Hunter married attorney Alexander Hunter in 1999. They got divorced two years later. Rielle lives in Charlotte, North Carolina.